"Cloth makes first impression: Good clothes open all doors. Girls are usually very attentive about appearance. Make sure your sheet is clean. Good clothes doesnâ? ?t mean expensive, you need to be good looking â?? hairstyle, nails, bootsâ?¦ Going to the date with you, Ukrainian girl is preparing couple of hours to have nice look. So, she expects from you the same. Women have watches to know how much they are late: Yes, she is 20 min late. Yes, you are waiting for her sitting alone and looking on the door. When she finally comes, donâ? ?t show your irritation. It is not the best idea to begin meeting from reproofs, â? ?tryâ?� to make a compliment. She will be surprised. Kiev is crowded city, in the evening there are traffic jams, so it is hard to plan your trip to city centre (where actually most meetings take place) and be in time. Please, be understanding. Life without plan is a waste of time: Make some plan, think how you see your date. Yes, it is hard to assume how the meeting will pass, but you could at least make a list of questions you would like to discuss. Be attentive, girls do not like to discuss some questions, donâ? ?t annoy if you see lady is irritated, change the theme if girls are boring. Do not speak only about yourself; pay enough attention to the woman. Do not drink to much! Laugh opens her heart: Make some funny jokes, smile, be opened â?¦ These all things will help you to open her heart. It is a half of success, if you can make the lady laugh. Real gentleman always pays with a smile: Do not show you are surprised about bill. It can make a barrier between your future communication and maybe relationship. 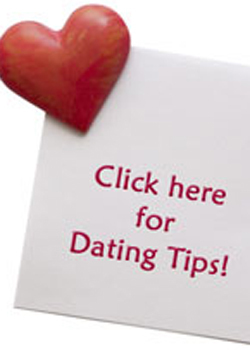 We hope these tips will help you to make best meeting with lady you like!"